Panini bread, romaine lettuce, plum tomato, Swiss cheese, smoked turkey, dab of mayo and Dijon mustard … some delish fixin’s for an awesome sandwich. Depending on your likes, there are many other types of sandwiches people across the globe create daily. But then aside from foodies’ needs and desires, there’s another type of sandwich being concocted. 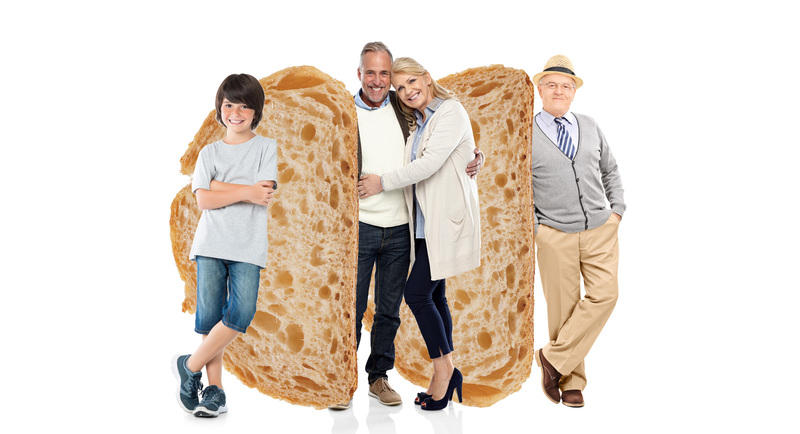 It is a sandwich made when an adult or couple cares for both older parents and children—better known as the Sandwich Generation. Dating back to 1981, the term ”sandwich generation” was coined by two women, Dorothy Miller and Elaine Brody, and was primarily introduced to social workers and gerontologists. At that time, the middle generation in the sandwich was Baby Boomers. In today’s world, the adult or couple has shifted to Generation Xers. Of course as time marches, the sandwich generation will be largely composed of Millennials. In the 1980s, the term was specifically used to describe women in their 30s to 40s who were “sandwiched” between aging parents and young children acting as everyone’s caregiver. Fast forward to the 21st century, where the term is defined more accurately as a couple between the ages of 40 and 65 who are responsible for older children and elderly parents. What are the Statistics for the Sandwich Generation? In 2013, the Pew Research Center looked into the numbers, and according to their findings, about one in eight Americans between the ages of 40 and 60 is rearing a child and caring for a parent. In fact, about 8.5 million are caring for an elderly parent from a long distance. Additionally, when evaluating U.S. Census Bureau data, these statistics will increase. The government agency postulates that by 2030, there will be more than 70 million Americans over the age of 65. The National Alliance for Caregiving conducted its own study titled “Caregiving in the U.S. 2015.” The study discovered that approximately 43.5 million Americans provided unpaid care for an adult or child in the prior 12 months. Actual caregivers who responded to the survey came in at 18.2 percent. Are There Different Types of Sandwiches? What are some of the Challenges Faced by the Sandwich Generation? The sandwich generation faces numerous challenges, and many are dependent upon age and generational needs. For instance, an infant has different needs and issues based on trust and mistrust; a toddler’s fall under autonomy and shame; a preschooler with initiative and guilt; an adolescent with identity and role confusion; a young adult with intimacy and isolation; a middle-aged adult with stagnation; and an elderly person with despair. As our children get older, they move away and transition from being dependent to independent. For an aging parent, the reverse is true. As our parents get older and undergo normal decline, they require more assistance and thus transform from independence to dependence. As caring demands an increase time and financial resources, the physical and emotional health of the sandwich generation naturally tends to decline. So who cares for the sandwich generation? Stay tuned for Part II in our series on the Sandwich Generation tomorrow on the blog.